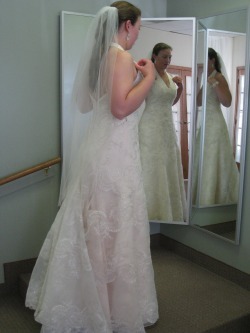 And here's me in it at my final fitting. I'm so happy with it! 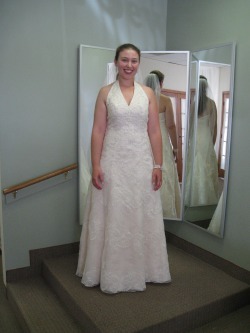 We picked out David's Bridal dresses, style F13408, in candy pink. 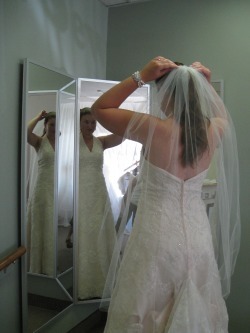 I think they are going to look so pretty! 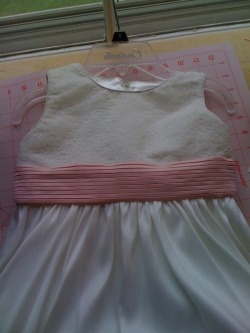 And these are the dresses our two flower girls will be wearing! 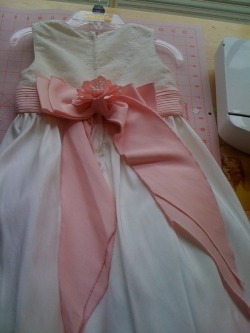 Kind of hard to see from the pictures, but they're ivory with a pink sash. So cute!